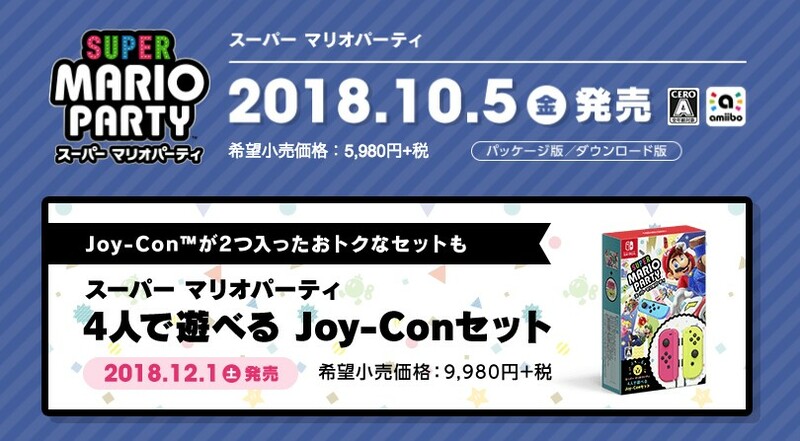 Nintendo has announced a Super Mario Party Joy-Con Set in Japan. The Joy-Con set comes with a copy of Super Mario Party, left Neon Pink Joy-Con, and right Neon Yellow Joy-Con. The straps are Neon Pink and Neon Yellow, rather than Black. It’s scheduled to release in Japan on December 1, 2018 for 9980 yen (excluding 8% sales tax). Europe is getting a similar Joy-Con Set, although with different colors. No word on a North American release yet.